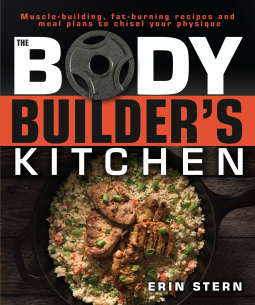 100 delicious recipes and proven meal plans to burn fat, build muscle, and chisel your physique. eat it, and helps you understand how our bodies use what we eat to burn fat and build lean, strong muscle. Through phased weekly meal plans, expert insight on how and when to take full advantage of your body's muscle-building capabilities, and 100 delicious recipes, you'll find yourself achieving that sculpted look you've always longed to have. I am always looking for new recipes to try out. My boyfriend lives in the gym 5 days a week and is a power lifter so healthy recipes are always a bonus. I have lifted in the past to gain definition but over the years I have lost a lost of muscle tone and find myself in the position of starting at the bottom. I love to eat healthy but as I approach 40 I have realized that my metabolism is not what it used to be and a lifestyle change is needed. This book appealed to me because it was written by a female bodybuilder. Once I opened the book I knew it was going to be amazing. I love that it is filled with awesome recipes (Meatza was the first one we tried....and loved) but it also had some amazing tips and techniques to get the most out of your routine. I think this book is fantastic and will be used a lot around our house.